Nearly everyone has a favorite type of music that they enjoy listening to. Music seems to make doing household chores easier and quicker to complete. Some people claim to be able to concentrate better while listening to music. Students have even stated that they could do homework better when the music is blasting. Simple and elegant elevator music makes for an enjoyable ride. Forget the worries associated with a hard day's work by having the radio on your best station on the drive home. An old wives tale proclaims that music can soothe the savage beast. If that has any validity, then music can definitely calm the human mind, therefore, it will lead to a more energetic body. Often times when we are struggling to relax and regain some of the energy that has been burned during the day, it is the music playing that allows for peaceful meditation. There is no one specific genre of music that is better than another when it comes to meditation. This depends on a person's personal favorite in music. Whether sitting up or lying down, the position for meditation is also a personal choice. In meditation classes, like yoga, the music is very soft and sensuous. This relaxes the body, and clears the mind to make the person focus better. You are usually well energized after these sessions. Meditation that is done at home can still energize you as well. You can have all of the music that you enjoy ready to play while you prepare for meditating. If given enough time and practice, you will find that the energy gained from this activity is incomparable to any other. The music you choose should bring you a sense of calm, even if it’s something that wouldn’t calm others. The right music to meditate to should be something you can relax to, regardless of genre. With that being said, it is essential that the music you do choose clears your mind. 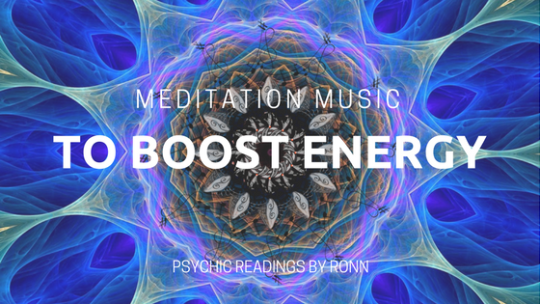 This music will help you to forget about any problems as you meditate to increase the power of your brain waves. You will arise fully energetic, and able to face any negative situation head on. Meditation allows the brain to rest and become more focused. Music heals the spirit as fatigue and anxiety are swept away. You are engrossed in the beat and the melody of the music. Your body is adjusting itself as the energy flow grows stronger. When your music and meditation session is complete, a huge energy boost is recognized. You are now ready to conquer any of the things that you had put aside because you felt that you were too small or too weak. Your favorite music and meditation are the answer to low energy levels and to revitalize the spirit.